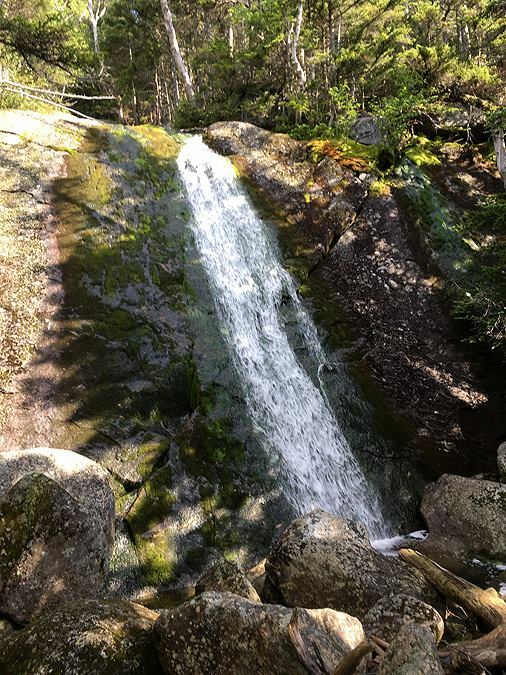 - Saturday, Whitney and I ran/hiked in the MMD 50K ultra run in the White Mountains. 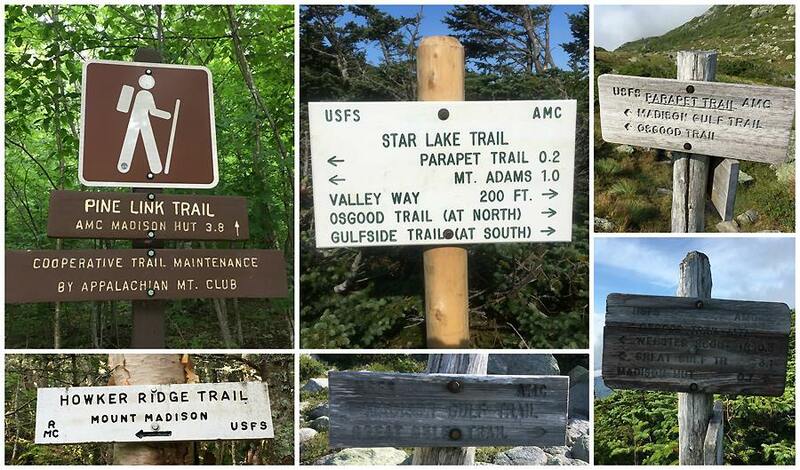 This year's course was a brutal one consisting of some of the most punishing trails in the Presidential Range. The route was the same as MMD 2013, which I completed in 12 hours 23 minutes, so I was eager to see how much I could improve my time. 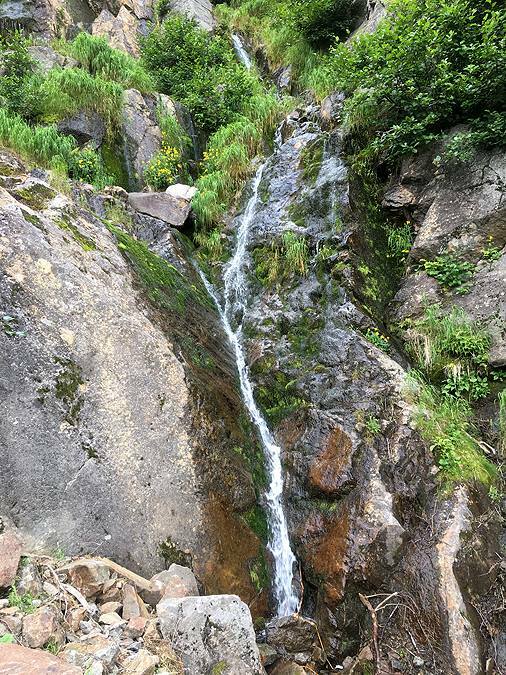 Whitney would be doing the "Fun Run Ultra," a 26.5 mile version, which cuts out a second drop down into and out of King Ravine via the Great Gully Trail. Just like in 2013, the majority of runners would be doing the "fun run." 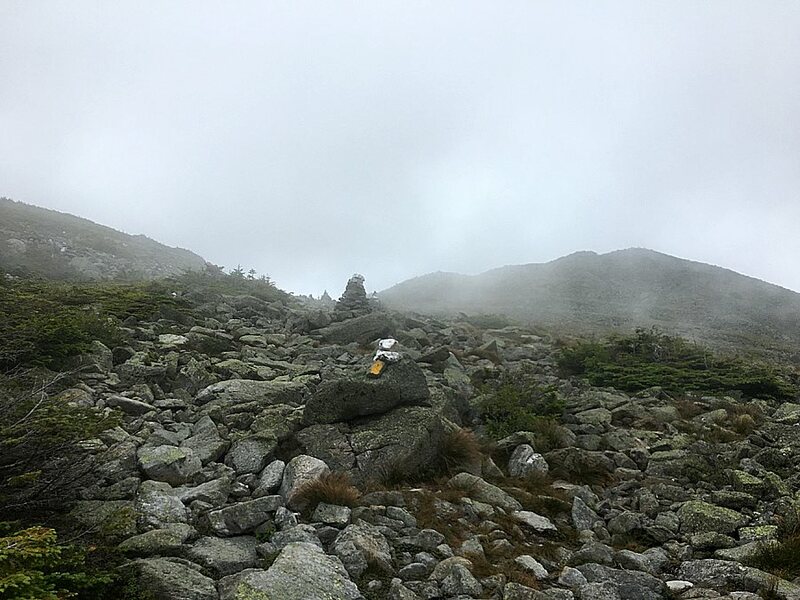 - Leading up to MMD the weather was not looking too favorable and a few runners dropped out, however the weather turned out to be great, albeit very humid making for slick conditions in the Great Gulf Wilderness. 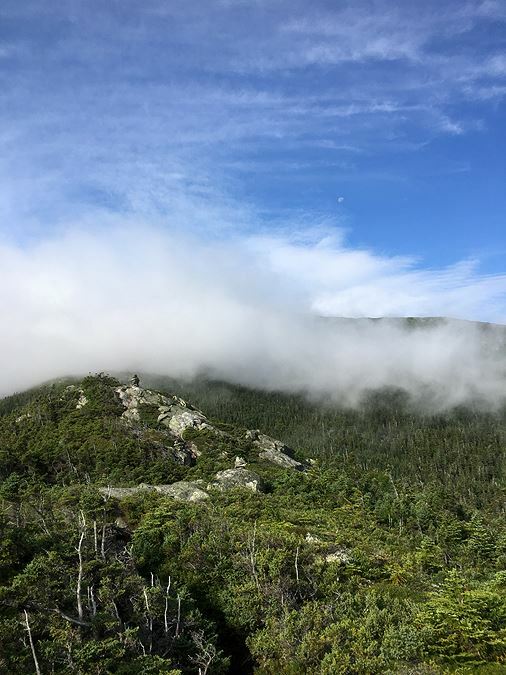 There were around twenty people hiking/running MMD this year, three started in the middle of the night around 3AM, seven started at 5AM, six at 6AM, and then myself and Steve at 7AM. 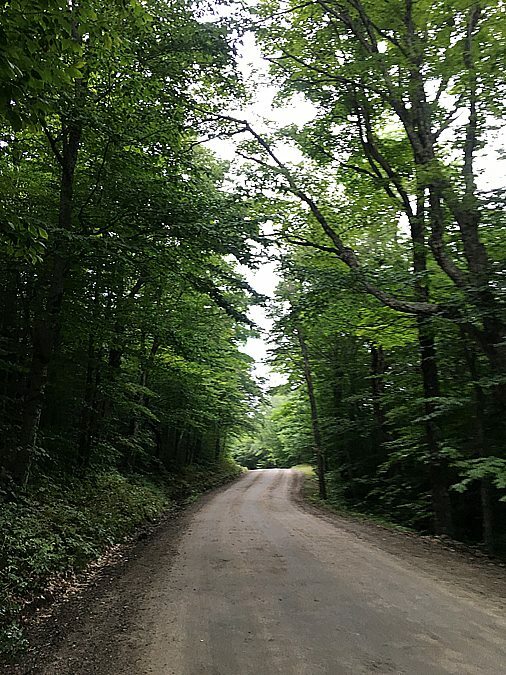 - The first mile and a half was a nice gradual uphill run along the dirt Pinkham B Road. I set into a comfortable pace and made it to the Pine Link Trail in under twenty minutes. Pine Link Trail starts off with a steady grind then moderates a little bit with steep bursts here and there. The footing is all over the place, from good to rough and slick. Slick would be a common theme for the morning, I was wearing La Sportiva Helios SR, which have tremendous traction and I rarely slip, but on this morning I was slipping more than usually so I knew I had to be extra cautious. 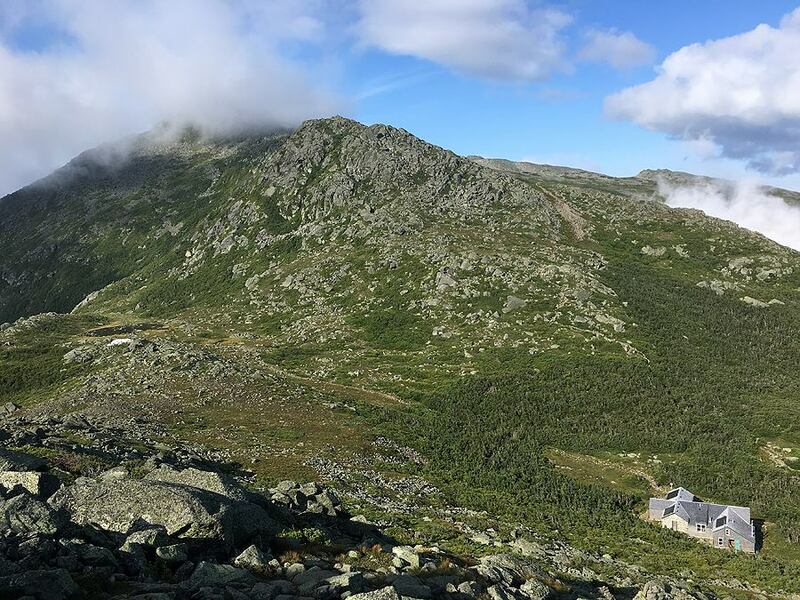 - After a couple of miles I hooked onto the Howker Ridge Trail and was greeted with more rough footing up to treeline, here I would soon join the Osgood Trail for the short up and over the summit of Mount Madison and down to Madison Spring Hut. 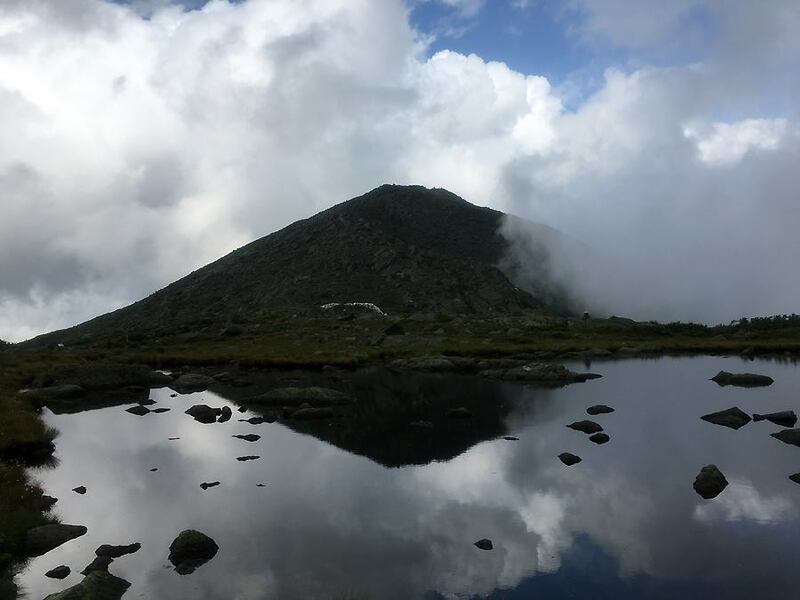 - As I mentioned before, the weather was much better than forecasted, the clouds were rushing in and out and there was no threat of rain. 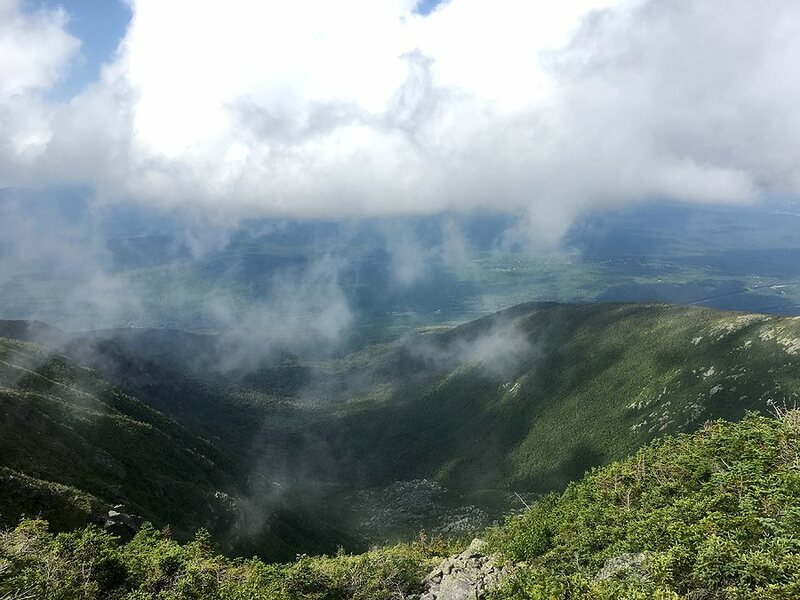 The views from the Howks and along Osgood Trail were great with the clouds moving through. 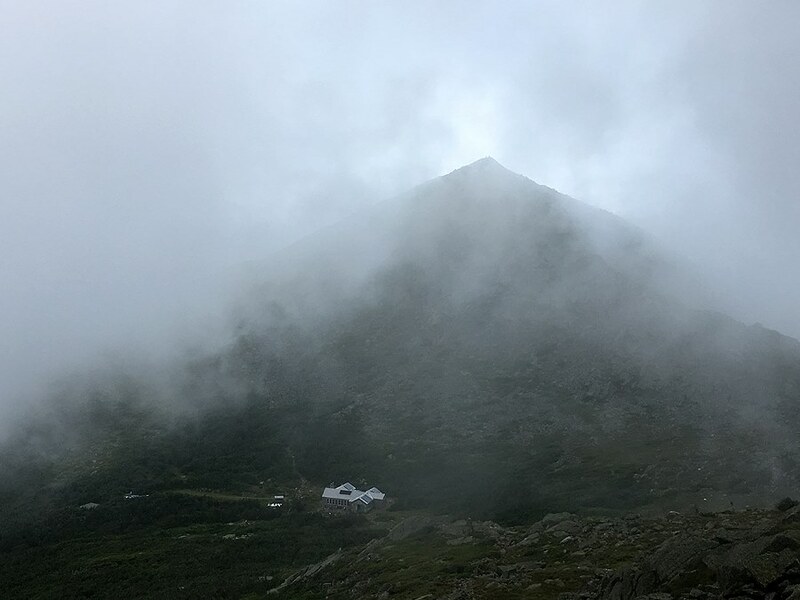 The downside was there was barely any wind, and it was much warmer and very humid, one of the most humid mornings I can recall above treeline in quite some time. 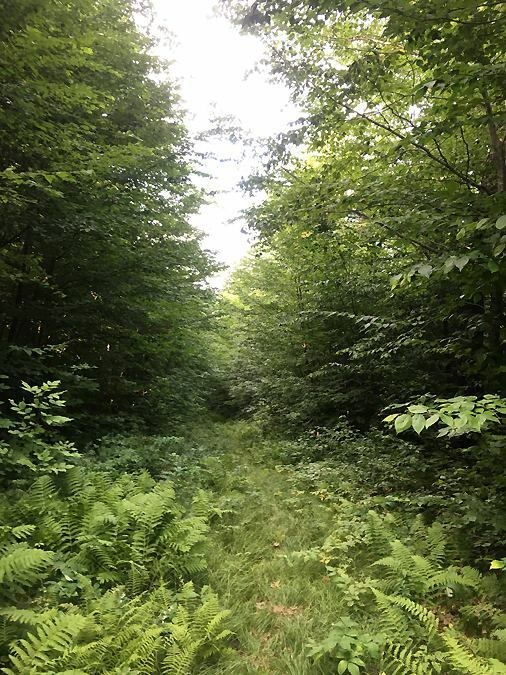 - After taking a short break in the hut it was time the most tedious stretch of the run, the first half mile of the Madison Gulf Trail. 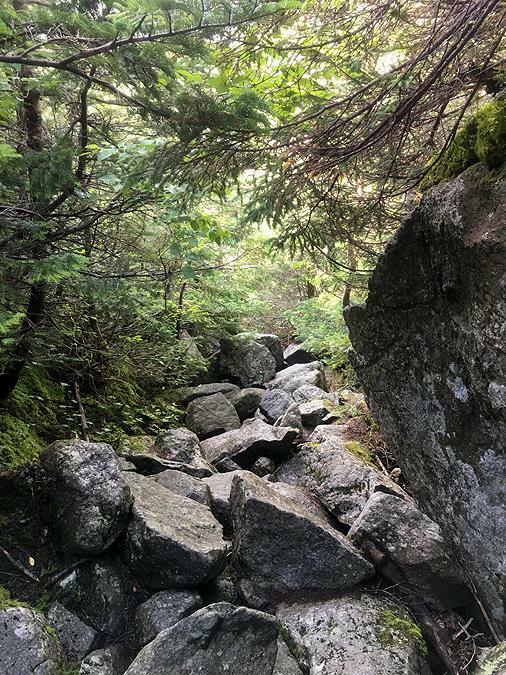 This trail basically drops straight down a mix of huge boulders, roots, rocks, some slab, a chimney, and some more slab. Most stretches are wet and some parts have running water through it, it's a total sh!t show! 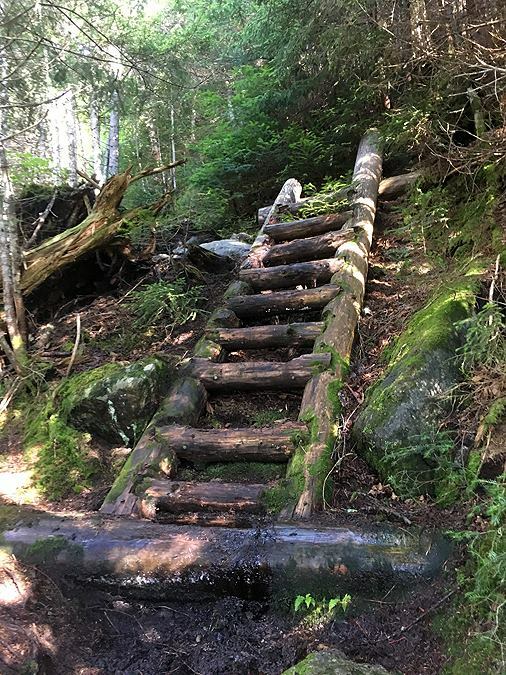 I'd definitely recommend ascending this trail not descending. Along the way I ran into a couple of 5AM and 6AM starters, including Amy and Neil in the chimney section and Jason and Howie who were just about finishing the the last hellish steep slab section. 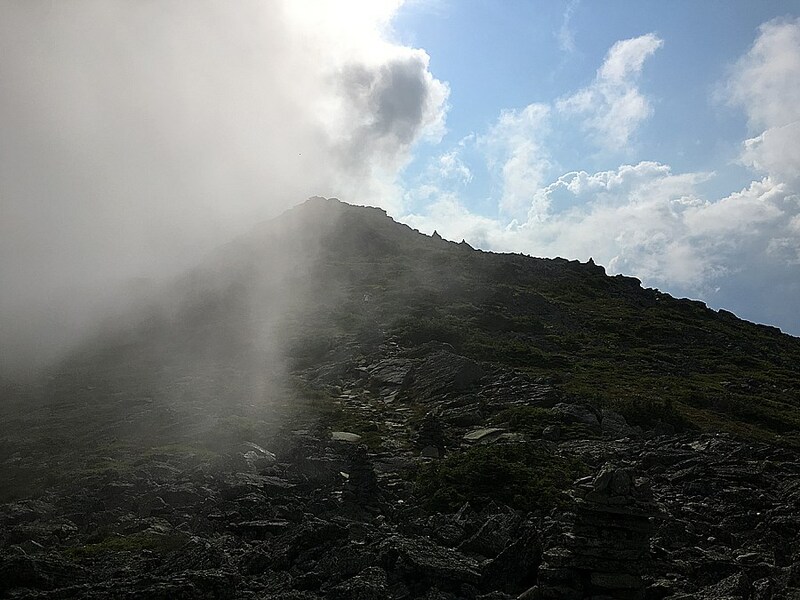 - After the nasty part the trail gradually becomes easier and you can finally breath a sigh of relief. Towards the bottom I ran into Craig and Barbara, two of the most experienced MMDers. 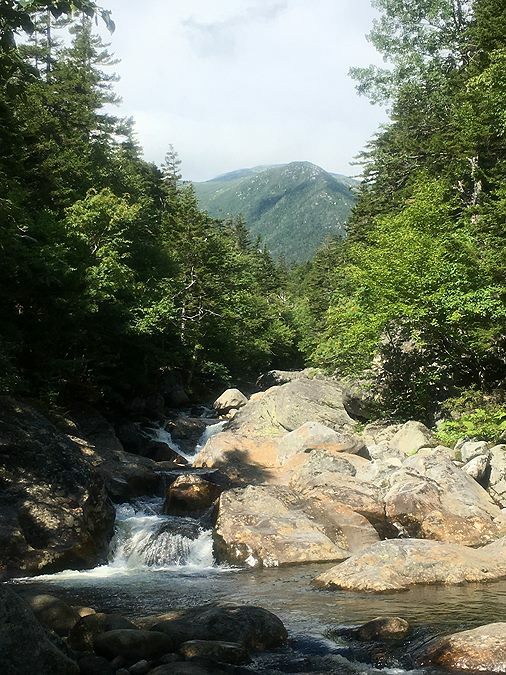 - Madison Gulf Trail reaches the floor of the Great Gulf between the Parapet Brook and the West Branch of the Peabody River where it coincides with the Great Gulf Trail for a tenth of a mile before heading over to the Auto Road. 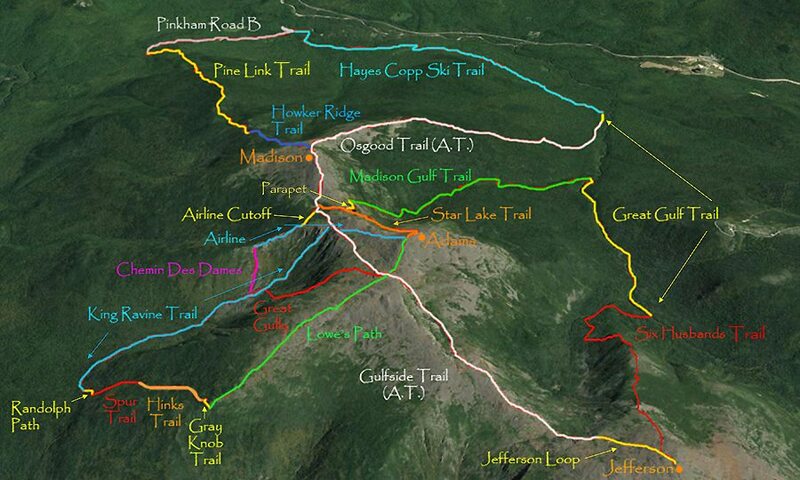 Here, I would stay on the Great Gulf Trail and enjoy its easy grades and ok footing until the Six Husbands Trail. The run over to the Six Husbands Trail went a little slower than I wanted it to, the humidity meant I had to dial it back in order not to crash/bonk going up Six Husbands. Right before reaching the Chandler Brook Trail junction I ran into Bob and Jim enjoying everything that the Great Gulf has to offer. - As far as the Six Husbands Trail goes, the first three quarters of a mile is not too bad, a consistent uphill grade. 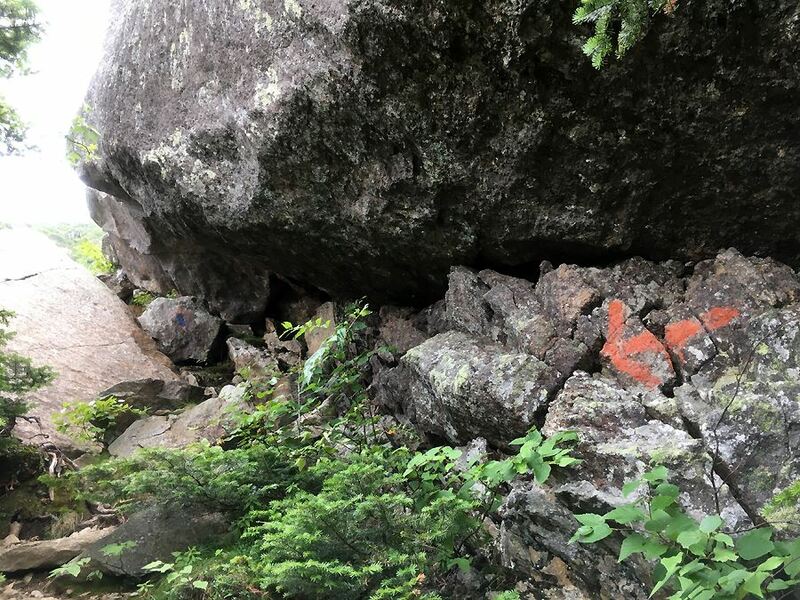 However, over the next mile it shoots straight up over the knee of Mount Jefferson, reaching it by going around and over boulders, with ladders placed on boulders! 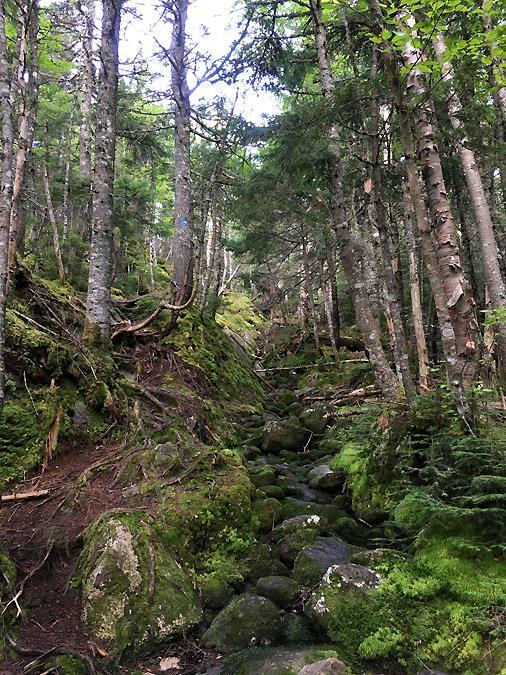 It is one of the steepest, incredibly cut, and enjoyable trails in the Whites. 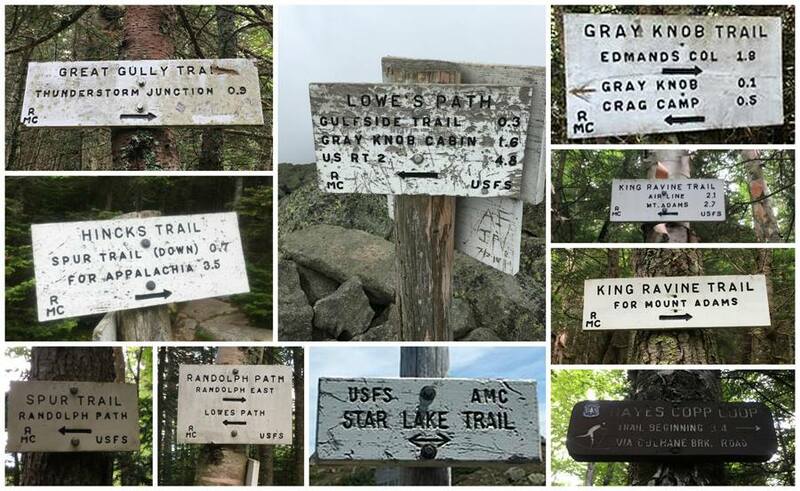 I highly recommend it to any hikers who wants to get away from the crowds and craves a challenge. 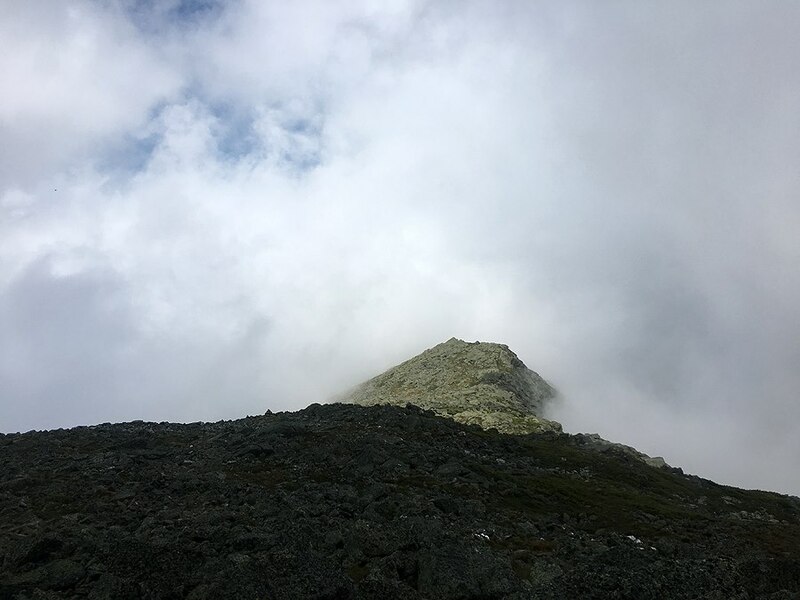 Once above Jefferson's knee the trail breaks above treeline making for a beautiful approach to the summit of Mount Jefferson. 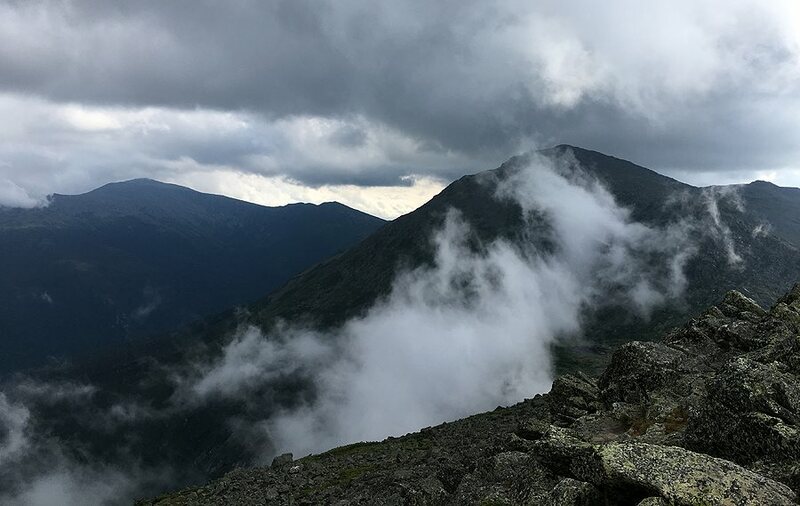 - Upon reaching the summit of Jefferson my solitude would be no more, I was on the Jefferson Loop and Gulfside Trail, an express way across the northern Presidential Range. 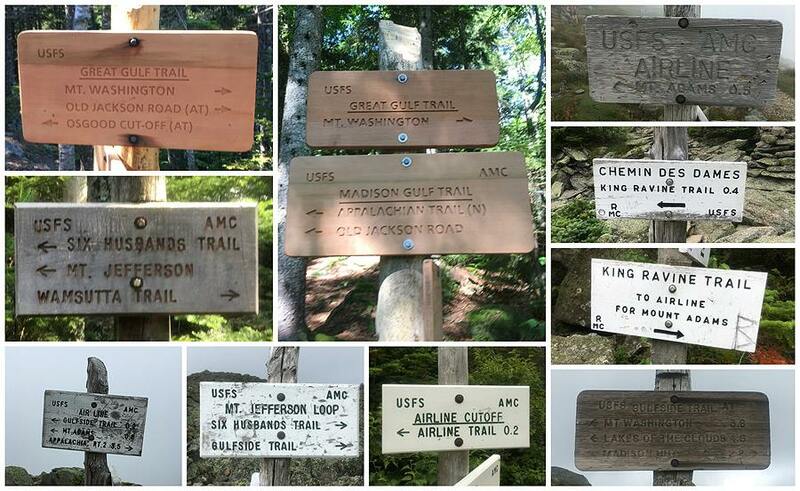 It was amazing to see the amount of hikers out and about; day hikers, back packers, thru-hikers, and trail runners. 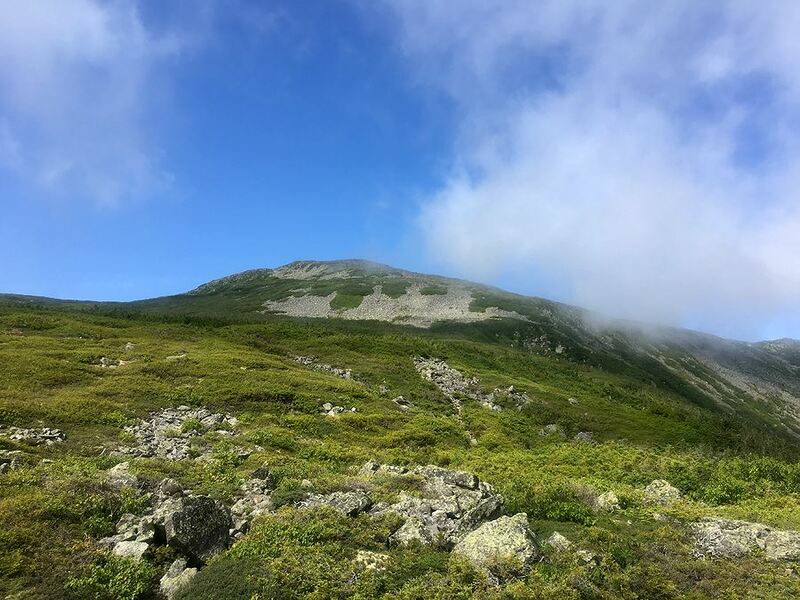 The boom in trail runners along the Presidential Range over the past ten years is a sight to see. 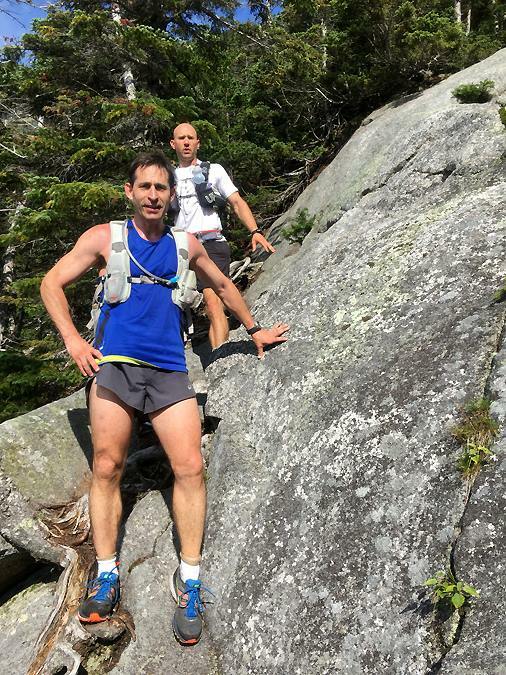 I used to see a small handful of very strong/experienced runners along the ridge, nowadays you see half strong/experienced and half yahoos getting the living hell beat out of them! - I finally caught up to Whitney at Madison Spring Hut, she had been hiking at a strong pace and was doing very well. We took a break of about fifteen minutes before heading off down the Airline Cutoff towards Durand Ridge before parting ways. - Now came for the short but very steep drop down into the King Ravine via the Chemin Des Dames. The good news, unlike the Madison Gulf Ravine, the King Ravine was very dry and the boulders were grippy, making the descent much easier. A bonus aspect of this steep trail is that it offers great views of the floor of the ravine and the high rising walls surrounding it. About half way down I passed 5AM starter Justin who spent the day leap-frogging with Whitney. 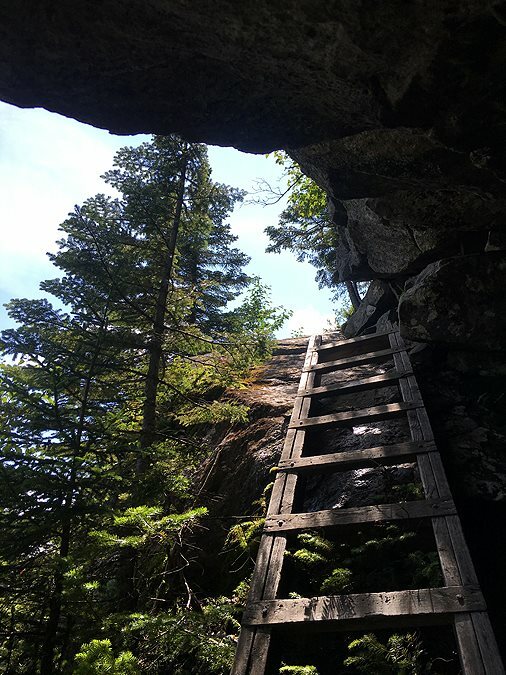 - Next up, the headwall of the King Ravine Trail, luckily the MMD route didn't have us heading through the Subway or Ice Caves, although I'd highly recommend these as the trail snakes it's way over and under some massive boulders and caves. 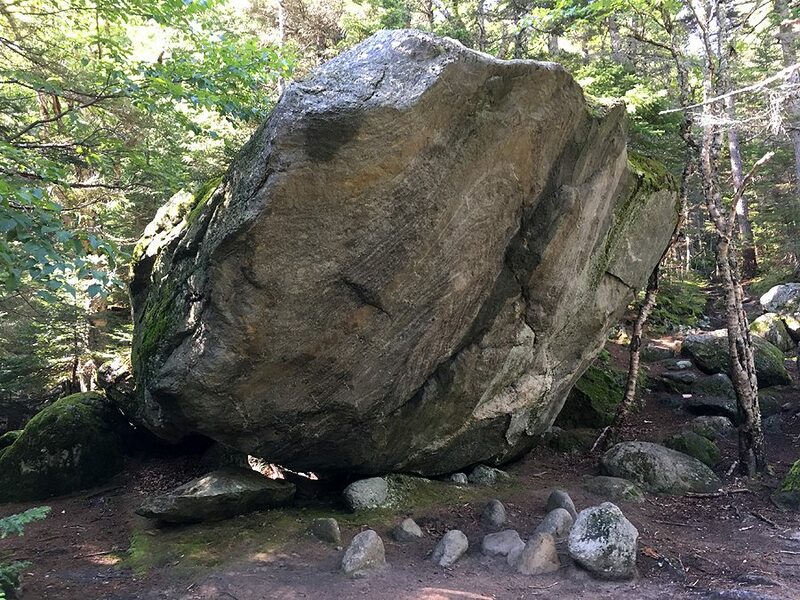 - My pace halted to a slow shuffle up to the Gateway, I had forgotten that there were some big boulders to navigate on the main trail too, and the trail in general is a steep jumbled mess of rocks of all sizes. After the short but steep climb, half mile and 1,300 feet, I popped out onto Durand Ridge at the Airline junction where I took a much needed five minute break. 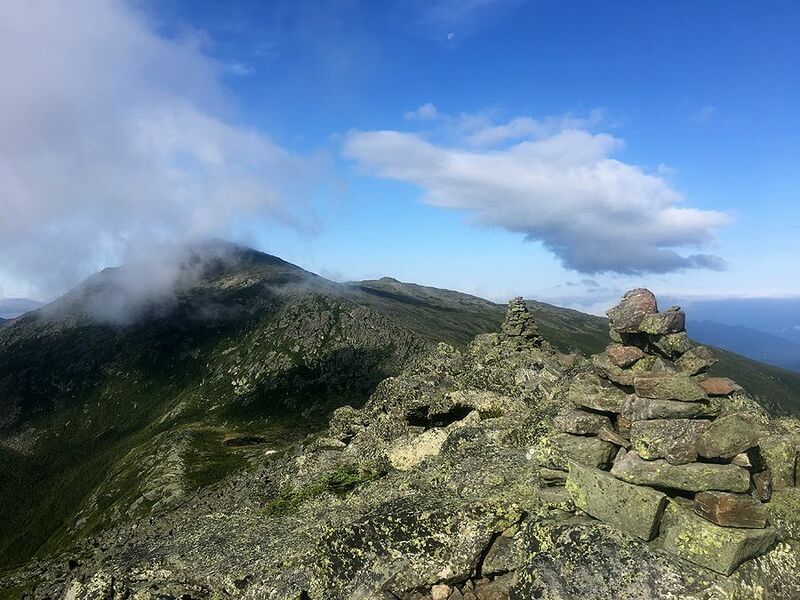 - I was hoping to get back in a groove along the Airline up to the summit of Mount Madison, and while I was able to pick up the pace, I still was not going as fast as I would have liked, the humidity was putting a wall up that I didn't want to break through and risk blowing out. Good news is I felt fine and was hydrating well, so my plan was to just let the ascents come as they may and save energy for the descents. 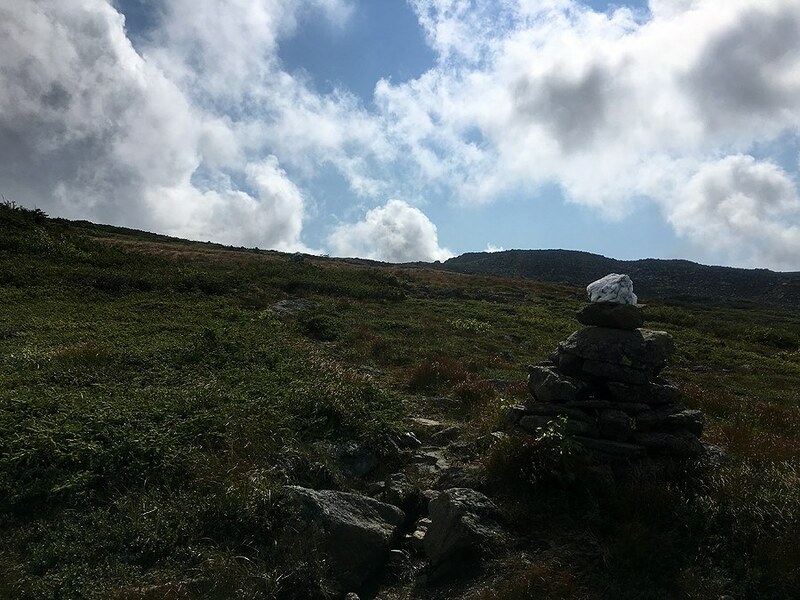 This method worked as I was able to make great time from the summit of Mount Adams to the next water stop a few miles away below treeline at the Gray Knob Cabin. At the cabin I took a five minute break and chatted it up with the caretaker and two other hikers who were well aware of the MMD runners. - Now was the crux of the run, heading back into and out of the King Ravine via the Great Gully Trail. In 2013 I remembered getting a rude awakening heading back up this section, I would take two steps up and stop, then repeat, to say it was more and more difficult was an understatement. 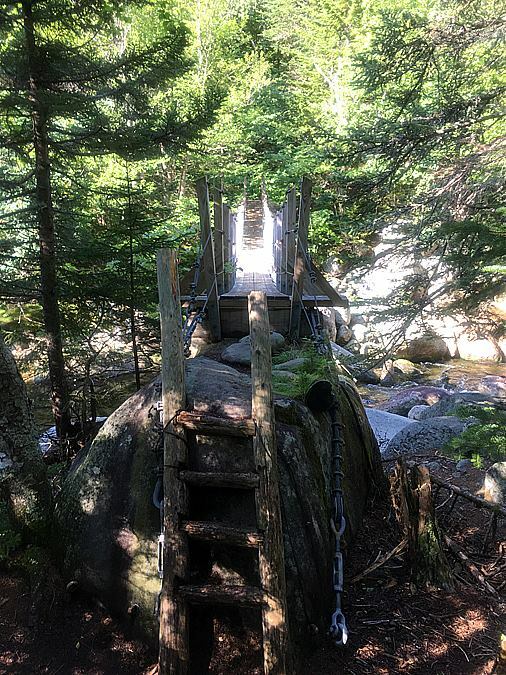 This year I ascended the Great Gully Trail at a snails pace again but I was much more prepared for it. 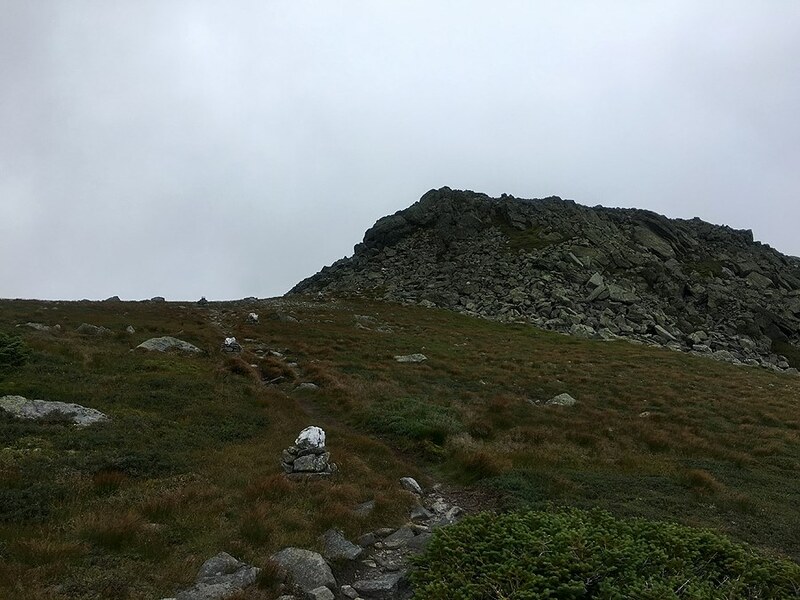 I stopped once to refuel and catch my breath, but was able to zombie hike back up and over the headwall without much of an issue. 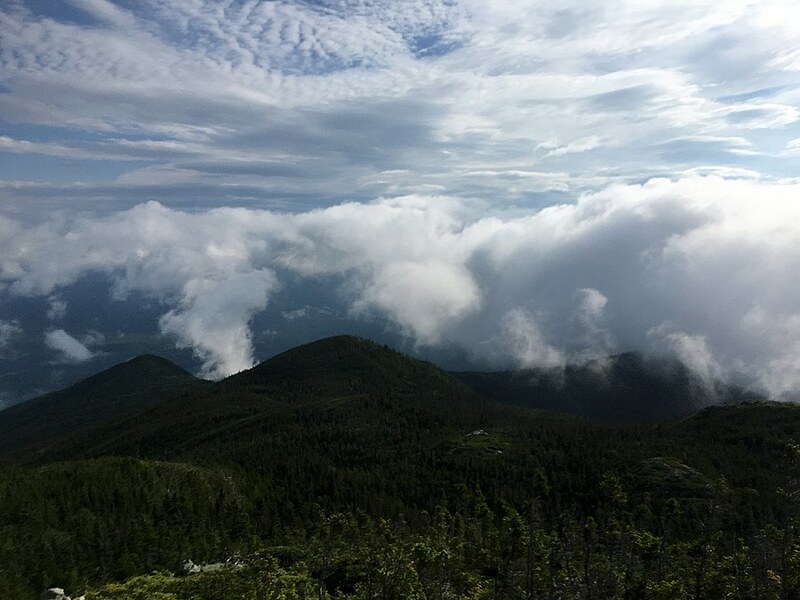 - Upon reaching Thunderstorm Junction, I had a few tenths of a mile to the summit of Mount Adams. Unlike the last time passing through this area, it was much more quiet and I only saw a handful of hikers on my way up and over the summit and down the Star Lake Trail back to Madison Spring Hut. Towards the bottom of Star Lake Trail I passed by Chance, he started around 3AM, and then 6AM starter, Stas. - At the hut I fueled up for the homestretch, stuffing my face with some food and drinking some more water and pink lemonade. 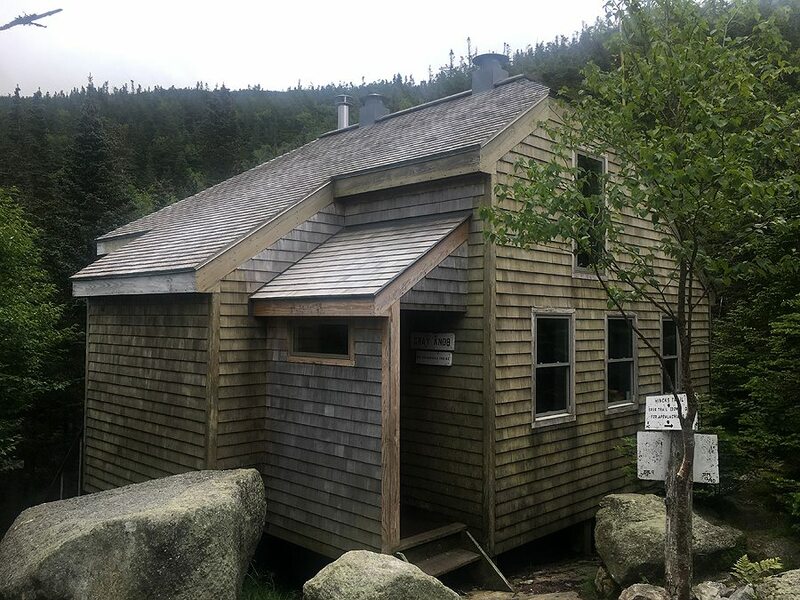 I bumped into Laurel and Zsuzsanne while relaxing in the hut, they had both done a hike of Mount Madison for the day and were about to return back to Barnes Field as well. 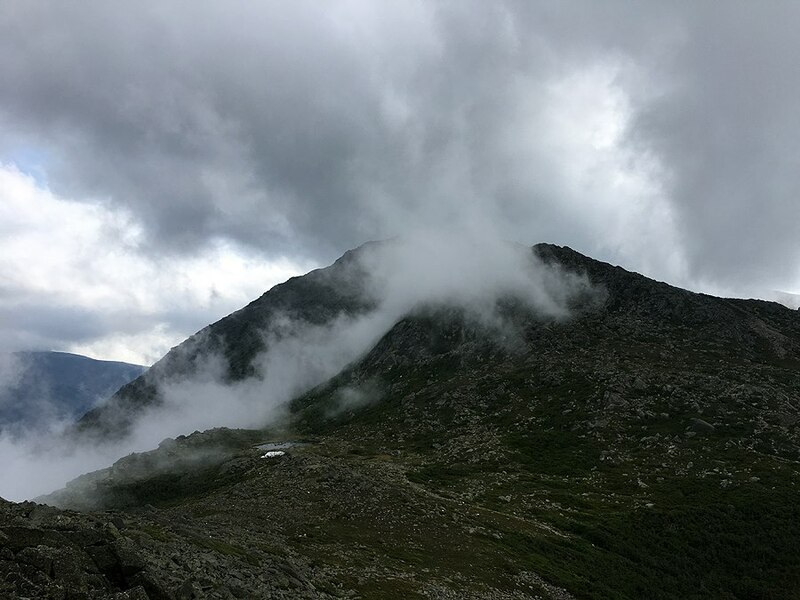 - Finally, came the last ascent of the day, a short half mile and five hundred feet of gain up the summit cone of Mount Madison. I took my time up to the summit where I ran into Stas again, and told him it was time to get the hell off this rock pile! 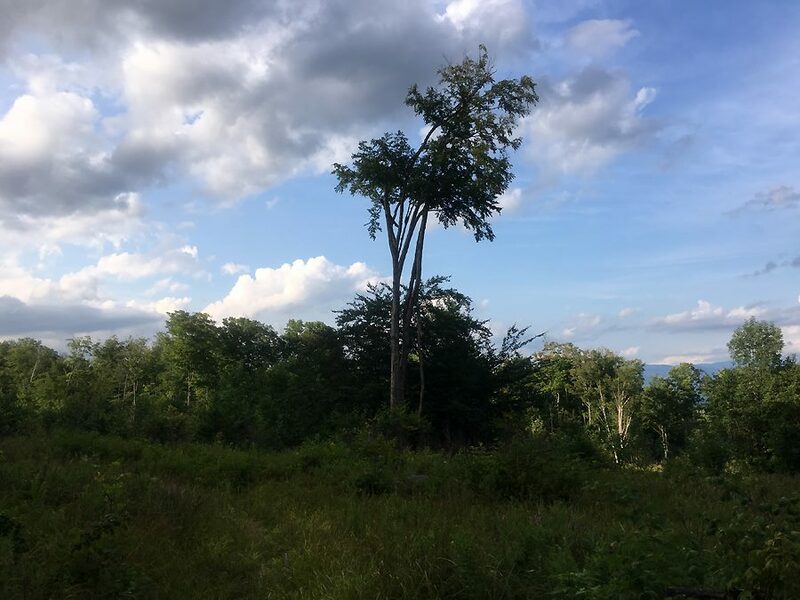 - From here I went into fifth gear and zoomed down the mountain, the throttling back on the ascents in the humid and warms temps paid off tremendously over the final seven miles. From the summit of Madison I descended Osgood Ridge to the floor of the Great Gulf and then took the Hayes Copp Ski Trail, filled with some PUDs back to Barnes field, covering the final 6.5 miles in 1 hour and 20 minutes, finishing my run in 11 hours 8 minutes and 39 seconds. - I was thrilled to be finished and happy to be able to relax, eat, and drink. 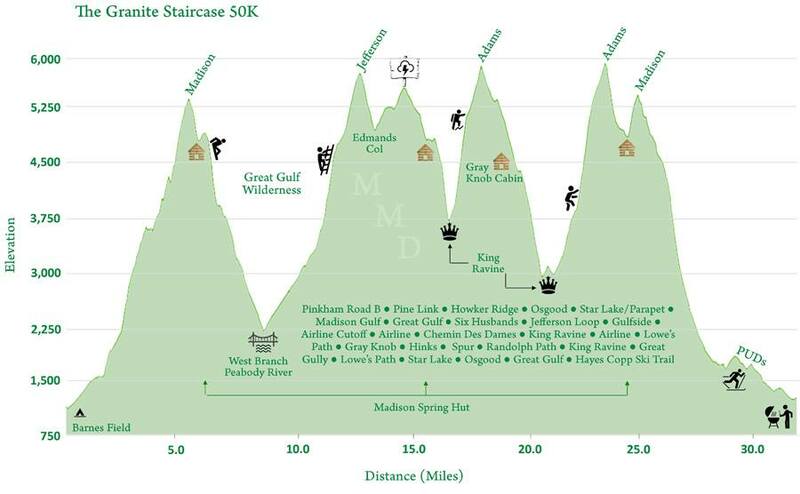 It was a helluva course, one of the most physically demanding routes all packed into 31.75 miles with14,889 feet of elevation gain. 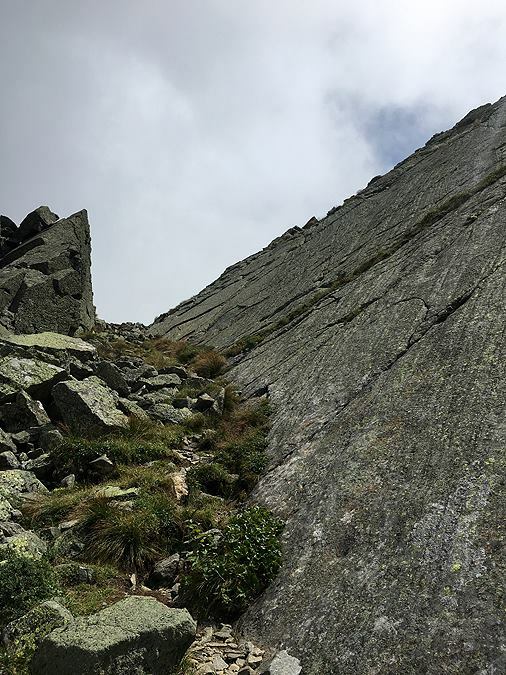 Its relentless, and up there with the Hut 2 Hut Traverse as a challenge because of the steep and rough terrain covered in a shorter amount of miles. - Next up were the "Fun Run" 26.5 mile finishers, there were five of them. Whitney and Justin both came in at 12 hours 44 minutes, followed by Brittini, Jim, and Bob (14:50 / 16:11 / 16:11). 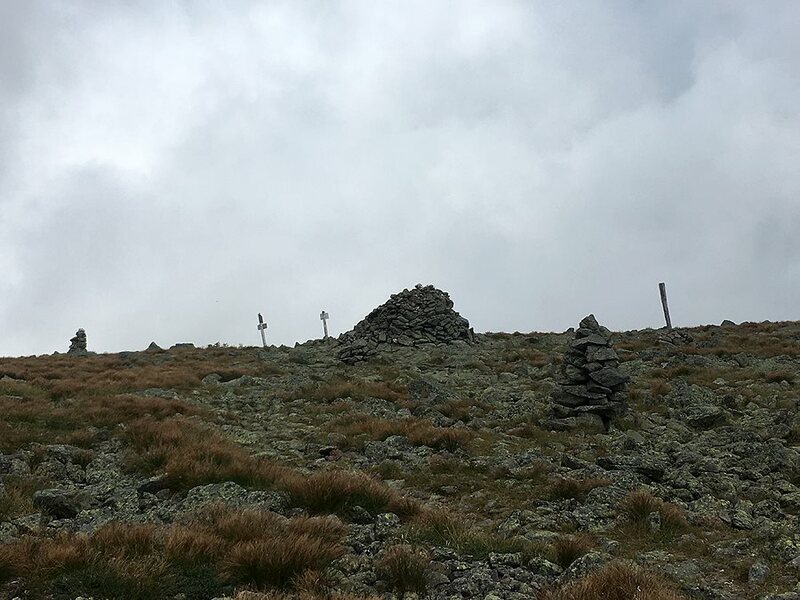 - The rest came in with between 19 and 22 miles, breaking off along the way and hiking what they were most comfortable and fun doing. 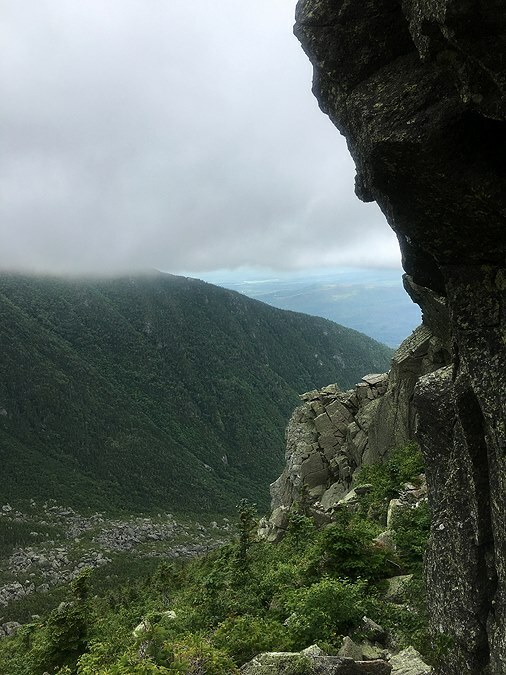 - All in all it was an outstanding day dropping into and popping out of the rugged ravines of the Northern Presidential Range. Thanks to Bob for organizing this fun run, and the volunteers for helping out and the post run BBQ. Can't wait to see where we will be running next summer! The West Branch parallels the Great Gulf Trail. 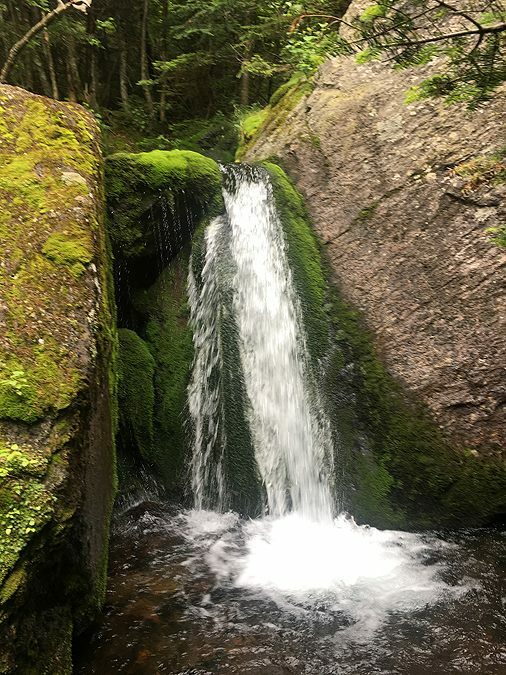 If you rock hop into the middle of the stream you can catch a great glimpse of Mount Jefferson and its "knee"
Hayes Copp Ski Trail, it was a jungle in spots! 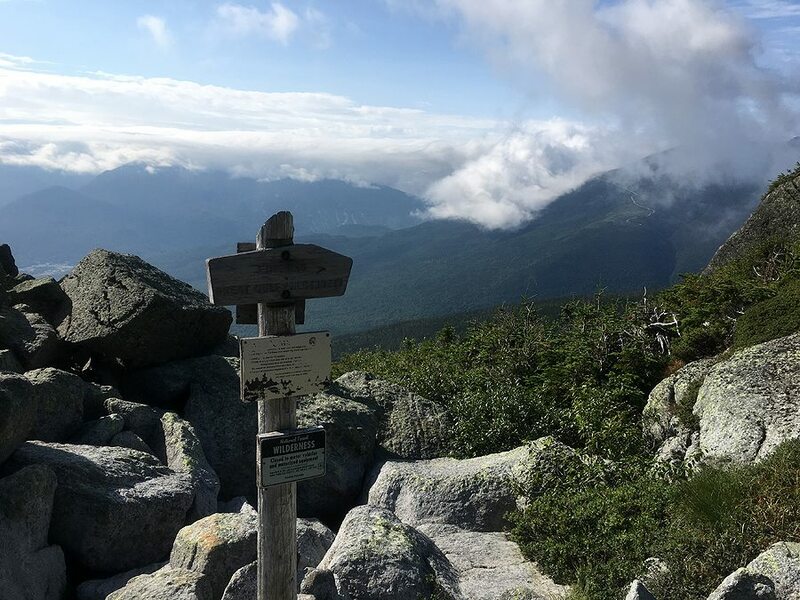 Great write up, I'll definitely be taking your advice and check out the Six Husbands Trail, sounds like a fun away from the crowds type of trail. The elevation graphic, map, and sign collage are really cool!